In The Lord of the Rings: The Return of the King, Gandalf and Aragorn lead the World of Men against Sauron's army to draw his gaze from Frodo and Sam as they approach Mount Doom with the One Ring. 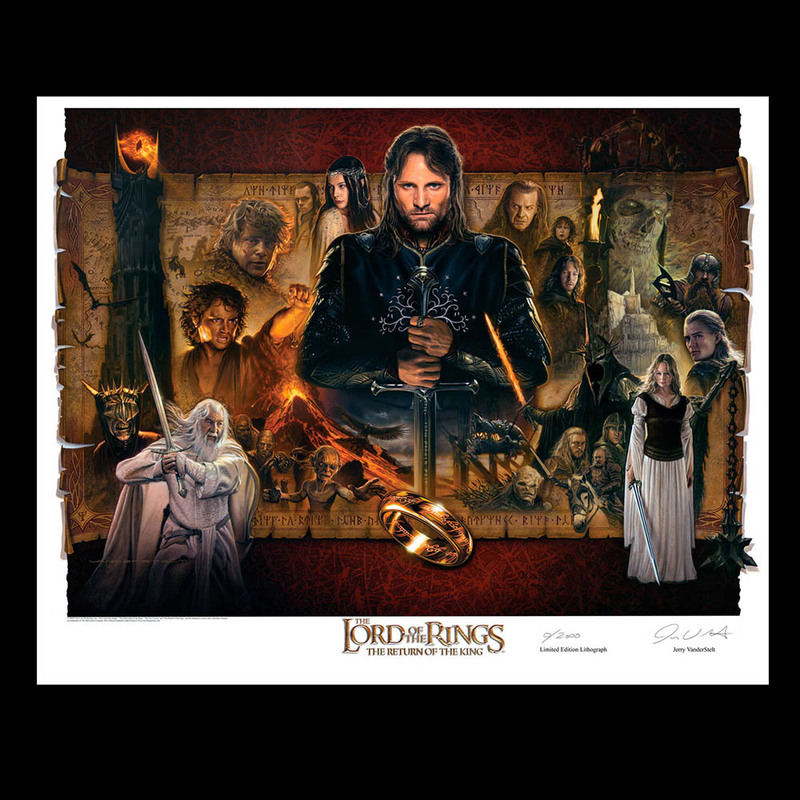 This incredible The Lord of the Rings: The Return of the King paper lithograph is by artist Jerry Vanderstelt. Paper Editions are limited to 2,000 pieces worldwide.